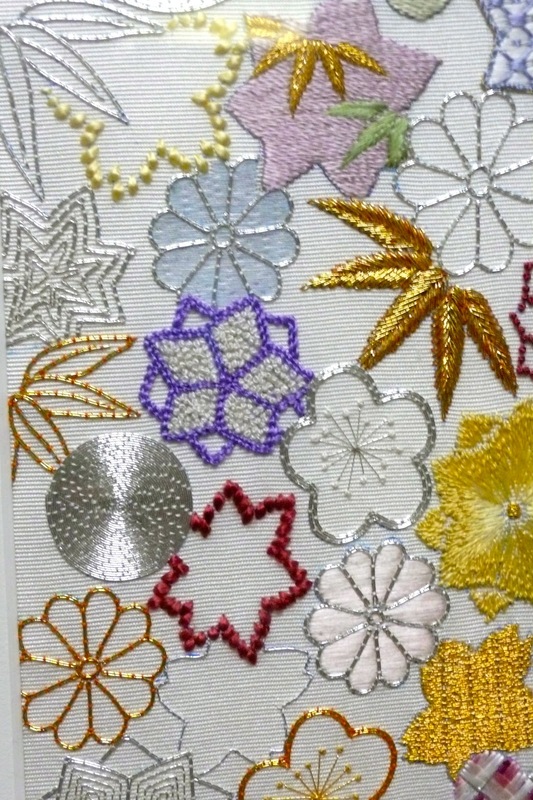 Jean Julier gave us a fascinating talk on Traditional Japanese Embroidery on Monday evening. It was great that so many members were able to attend. 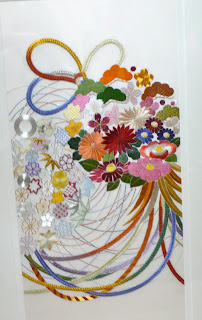 She started by outlining its history, stating that Japanese Embroidery dates back over 1000 years and is worked with silk on silk. Jean's work was stunning and she brought many examples to show us. We also learnt about the kimono, obi, han-eri and fukusa. 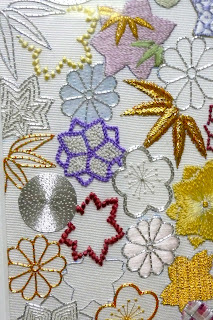 She explained that Traditional Japanese Embroidery comprises 46 separate techniques and students learn them in phases. 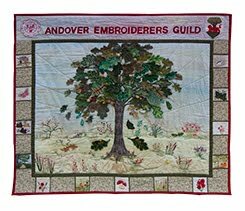 Jean told us that colours had different meanings and that the seasons were also represented in embroidery; cherry for spring, chrysanthemum for summer, maple for autumn and pine or plum for winter. The art is still evolving but success is always based on practice, practice, practice. Jean also brought some beautiful beading to show us. 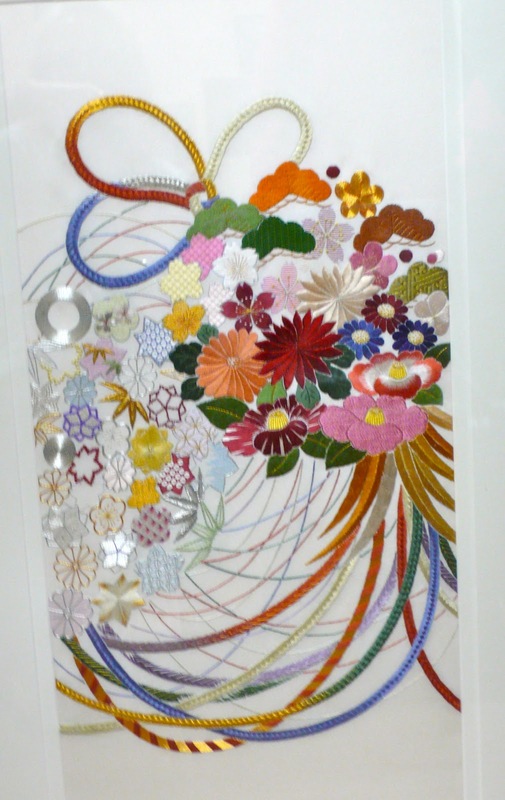 The intricacy of the designs were wonderful. We all had a very enjoyable evening and would like to thank Jean very much for visiting us.